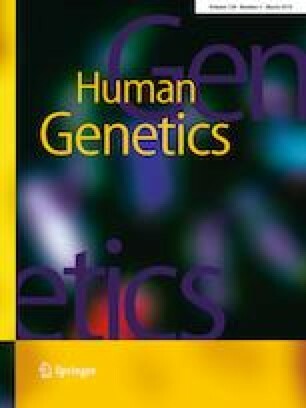 Variations in mitochondrial DNA (mtDNA) have been fundamental for understanding human evolution and are causative for a plethora of inherited mitochondrial diseases, but the mutation signatures of germline mtDNA and their value in understanding mitochondrial pathogenicity remain unknown. Here, we carried out a systematic analysis of mutation patterns in germline mtDNA based on 97,566 mtDNA variants from 45,494 full-length sequences and revealed a highly non-stochastic and replication-coupled mutation signature characterized by nucleotide-specific mutation pressure (G > T>A > C) and position-specific selection pressure, suggesting the existence of an intensive mutation–selection interplay in germline mtDNA. We provide evidence that this mutation–selection interplay has strongly shaped the mtDNA sequence during evolution, which not only manifests as an oriented alteration of amino acid compositions of mitochondrial encoded proteins, but also explains the long-lasting mystery of CpG depletion in mitochondrial genome. Finally, we demonstrated that these insights may be integrated to better understand the pathogenicity of disease-implicated mitochondrial variants. The online version of this article ( https://doi.org/10.1007/s00439-019-02009-5) contains supplementary material, which is available to authorized users. We are grateful to Prof. Tielin Yang, Prof. Xiaogang Liu (Xi’an Jiaotong University), Prof. Jianhua Zheng (Zhengzhou University), and Prof. Douglas C. Wallace (Children’s Hospital of Philadelphia) for helpful discussions and critical reading of the manuscript. This work was supported by the Fundamental Research Funds for the Central Universities (to XG), the Scientific Research Foundation for Returned Scholars of Shaanxi Province (to XG), the National Basic Research Program (973 Project 2015CB553602 to JL), and the National Natural Science Foundation of China (91649106, 31770917, 31570777 to JL). XG conceived the idea, designed the research, performed the analysis, analyzed data, and wrote the paper; XK analyzed the data, JL analyzed the data and co-wrote the paper. All authors reviewed the manuscript.